A4 folded to DL leaflet created for Halesworth Tourism Group promoting special wildlife areas in Halesworth. 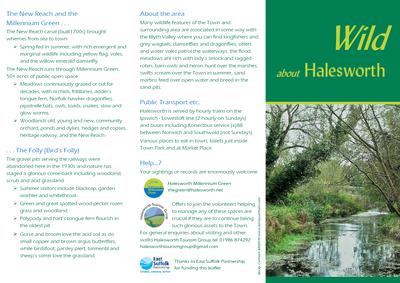 This is a reproduction based on an older leaflet supplied by HTG. Colours were matched as close as possible to the original. Text was completely overhauled with updates supplied. A new image was edited to fit space on front cover. A new roadmap was produced to show wildlife areas. 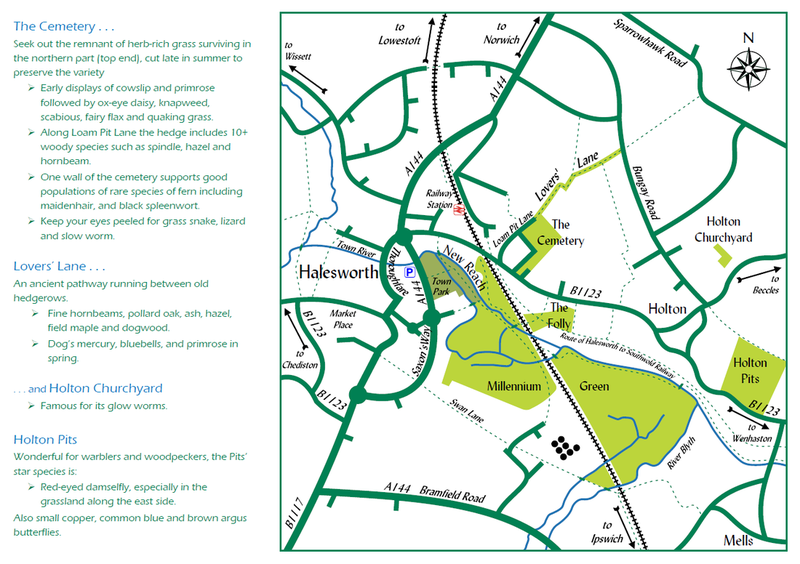 Created as an editable vector as opposed to the original hand drawn style which was now out of date regarding both changes to roads and increase of Millennium Green. A new logo was also created for HTG, based on the artwork used to promote the Blyth Valley Experience. 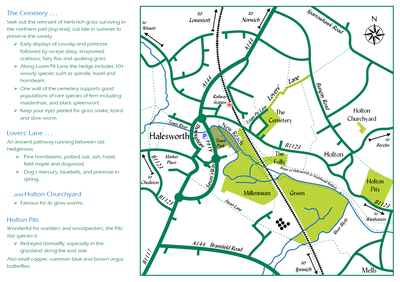 Full size of leaflet 297mm x 210mm.